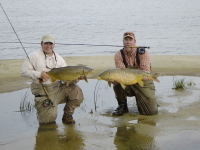 Northern Michigan's Premiere Guided Fly Fishing and Light Tackle fishing Service! Grand Traverse Bay Ranked top 10 for Smallmouth in USA! 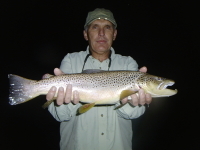 Join me, Jon Kestner and the guides of Jon’s Guide Service and explore the great fishing and great rivers of Northern Michigan . 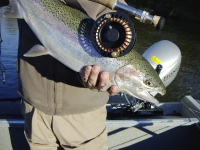 Float down some of the Midwest’s finest rivers and streams on a Guided Fly Fishing trip for, Trout, Salmon, and Steelhead. 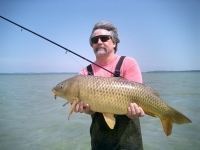 I have been guiding Northwest Michigan Rivers and lakes for over twenty years. Discover the different seasons that Michigan has to offer ; Steelhead fishing in early spring, matching the hatch, moving monster Brown Trout on streamers, fishing the famous “Hex” hatch, throwing hoppers along the great undercut banks and structure, chasing the thousands of Salmon that enter the local rivers , to stalking silver Steelhead in the fall. With a resource like no other, Michigan’s fly fishing opportunities are many. I invite you to discover why I have made this my home, and why I am one of the best at what I do.